"A woman simply is, but a man must become. Masculinity is risky and elusive. It is achieved by a revolt from woman and it is confirmed only by other men. Manhood coerced into sensitivity is no manhood at all." "The trauma of the Sixties persuaded me that my generation's egalitarianism was a sentimental error. I now see the hierarchical as both beautiful and necessary. Efficiency liberates; egalitarianism tangles, delays, blocks, deadens." "Every day along the Delaware River in Philadelphia, one can watch the passage of vast oil tankers and towering cargo ships arriving from all over the world. These stately colossi are loaded, steered and off-loaded by men. The modern economy, with its vast production and distribution network, is a male epic, in which women have found a productive role — but women were not its author. Surely, modern women are strong enough now to give credit where credit is due!" "I am troubled by the provincialism and amorality of the gay world and as a lesbian, I'm sick and tired of the gay rights movement being damaged by the cowardly incapacity for self-examination of many gay men." "History shows that male homosexuality, which like prostitution flourishes with urbanization and soon becomes predictably ritualized, always tends toward decadence." "Homosexuality is not 'normal' On the contrary it is a challenge to the norm...Nature exists whether academics like it or not. And in nature, procreation is the single relentless rule. That is the norm. Our sexual bodies were designed for reproduction...No one is born gay. The idea is ridiculous...homosexuality is an adaptation, not an inborn trait...."
"I have written repeatedly about my theory that homosexuality is an adaptation, rather than an innate trait, and that it is reinforced by habit. With its cant terms of “oppression” and “bigotry,” gay activism, encouraged by the scientific illiteracy of academic postmodernism, wants to deny that there is a heterosexual norm." "The more woman aims for personal identity and autonomy ... the fiercer will be her struggle with nature - that is, with the intractable physical laws of her own body. And the more nature will punish her: 'Do not dare to be free! For your body does not belong to you.'" "Television is actually closer to reality than anything in books. The madness of TV is the madness of human life." "To me the ideal education should be rigorous and word-based—logocentric. The student must learn the logical, hierarchical system. Then TV culture allows the other part of the mind to move freely around the outside of that system . . . I want schools to stress the highest intellectual values and ideals of the Greco-Roman and Judeo-Christian traditions. Nowadays, “logocentric” is a dirty word. It comes from France, where deconstruction is necessary to break the stranglehold of centuries of Descartes and Pascal. But to apply Lacan, Derrida, and Foucault to American culture is absolutely idiotic. We are born into an imagistic and pagan culture ruled by TV. . . We need to reinforce the logocentric and Apollonian side of our culture in the schools. It is time for enlightened repression of the children." "Men know they are sexual exiles. They wander the earth seeking satisfaction, craving and despising, never content. There is nothing in that anguished motion for women to envy." "Out with stereotypes, feminism proclaims. But stereotypes are the west's stunning sexual personae, the vehicles of art's assault against nature. The moment there is imagination, there is myth." assuming your wife is a traditional female, asking your wife is not a bad idea at all. Ms. Paglia, I suppose because she's a rare one and a thinker. I don't find her disagreeable to me personally. So I've read an article here and there authored by her and have seen her in conversations and interviews. past with this ancestral and historical wisdom within. meanings/definition of words such as prejudice. You said there is some good in ancestral, historical prejudice. held without reason or real experience" renders an entirely new meaning for an old and most useful word. Now a full sentence has to be written instead of a single word clear in a single meaning. one of these past Posts. They are good and interesting. Thank you - please go to search and put in words as you wish. What is Jacobinism? It is an attempt . . . to eradicate prejudice out of the minds of men, for the purpose of putting all power and authority into the hands of the persons capable of occasionally enlightening the minds of the people. For this purpose the Jacobins have resolved to destroy the whole frame and fabric of the old societies of the world, and to regenerate them after their fashion. Prejudice is of ready application in the emergency; it previously engages the mind in a steady course of wisdom and virtue, and does not leave the man hesitating in the moment of decision, sceptical, puzzled and unresolved. Prejudice renders a man’s virtue his habit; and not a series of unconnected acts. Through past prejudice, his duty becomes part of his nature. "Homosexuality is not normal. Rather, it is a challenge to the rule. Nature exists whether academics like it or not. And in nature, procreation is the only rule written in stone. That's the norm. Our body was created, sexually speaking, for breeding. No one is born gay. The idea is ridiculous. Homosexuality is an adaptation, not an inborn trait." 'Maladaptation' I would say, but its a great insight. I like a lot of her stuff, especially her savaging of the modern academy, but her glorification of "femininity" -- which amounts at times to a fetishising of it -- always makes me part ways with her. I don't believe that men and women are exactly alike; I do know that some amount of generalization is impossible to do without, but "woman simply is" is only true when "woman" is viewed exclusively as an object of desire. In her own right, "woman" is on a journey of becoming just as "man" is. I am usually on the side of tradition and ancestral wisdom, but this ancestral view of womanhood is, to me, as reductive as a lot feminist views. Things we call masculine and feminine can change according to the light, though, can't they? For instance, is it masculine dominance when a man beats his wife, or is he actually being weakly feminine? I think one's answer will depend on how far your society has evolved in its definitions of strengh and weakness and masculine and feminine. I agree with Paglia that nature is a fascist. I guess I just think that all intellectual endeavor, for both men and women, involves a certain denial of one's nature. I think that's the human condition, not just the female condition. There are heaps of people who choose homosexuality . As Anonymous above said, mal-adaption. There is no confirmation statistically of human beings who are congenitally homosexual. Do you mean more feminine? Camille Paglia might be on the opposite side of the barricades, and I question many of her choices - but I'm always surprised as her insight that seems to go contrary to everything she represents. A very Faustian vision of civilisation, by no means universal or (to be honest) all that correct. When The Illiad was written the Greeks were still worshipping in wooden temples. Granted, it's definitely encouraging to read and see, and one cannot feminise manhood, but the idea that masculinity is somehow by nature more progressive, brutal, and dangerous is a fairly young notion, thoroughly Western, and quite wrong. Women, too, take risks, can be far more emotional and brutal than men, and can be just as destructive as any progressive in their ideas. The Furies, we recall, were not male but female - likewise for many other ancient cultures (especially Indo-European, but Mesopotamian as well), change, destruction, raw uncontrolled power and chaos were all given feminine guises while order, law, and tradition tended to be masculine. wrought by females. If women had created the myths the renditions would have been reversed. that's all right because clearly this person has never read anything by Paglia but this list of excerpts. more money for physical and arts education and gay marriage. You intelligent, human rights equality people may be intelligent of a kind but you also may be crazy of a kind. Intelligent people of another kind do not have to like you. I am one of them and I don't. You have no legitimate right whatsoever to interfere with children. It is a type of molestation, abuse from the start. usual result, no questions asked, no questions needed. Problem with either/ or is it excludes the and..we have aspects of both masculine & feminine in our characters, something that both militant feminism & militant masculinism ignore. whelming design of humans and other species is expressed as male and female sharing traits yet mutually exclusive. I am not sure how it is even possible to debate around most of these ideas. With the risk of sounding closed minded, I can only dismiss this entire bunch of delusional c**p which has just been taken too far. If something is so confidently and shockingly expressed, does not really mean it is actually challenging what it intends to challenge, on the contrary. I think she should have said: "If civilization had been left in female hand like me, i.e. 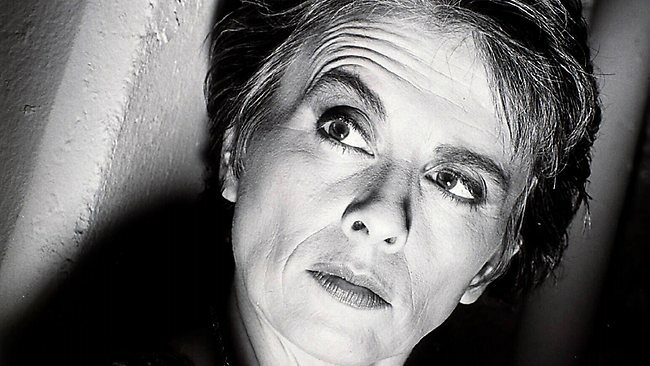 Camille Paglia, we would still be living in grass huts, or better yer, there would only be men in the grass huts. Women would be kept somewhere just to poop some brats out and then thrown to slave work." You sound like someone who should be disgusted, often. The "If Civilization..." quote is horribly out of context. We could make an epic catalog of male achievements, from paved roads, indoor plumbing, and washing machines to eyeglasses, antibiotics, and disposable diapers. We enjoy fresh, safe milk and meat, and vegetables and tropical fruits heaped in snowbound cities. When I cross the George Washington Bridge or any of America's great bridges, I think: *men* have done this. Construction is a sublime male poetry. When I see a giant crane passing on a flatbed truck, I pause in awe and reverence, as one would for a church procession. What power of conception, what grandiosity: these cranes tie us to ancient Egypt where monumental architecture was first imagined and achieved. If civilization had been left in female hands, we would still be living in grass huts. It is hypocritical for feminists and intellectuals to enjoy the pleasures and conveniences of capitalism while sneering at it. Thank you very much indeed. I had not read this passage - but I do not understand why you think the "If Civilization..." quotation is out of context. Enoch Powell said all quotations are out of context. He was an extremely intelligent man. This intelligent woman hits the proverbial nail on the head.... stupendous honesty..... reality doesn't change according to our ability to stomach it... well done madam. I see you left out Paglia's most famous quote: 'There is no female Mozart because there is no female Jack the Ripper.' Do you agree with it? The point that she was trying to make is that there are very few female serial killers, not that there aren't any at all. There have been a number of women serial killers actually but I agree with her point. They're still a lot less than male serial killers. What does she mean by ‘every man must identify himself against his mother’? Why have there been no great men since 1950?